Runners start their race in the heart of the Seattle Center and finish in the shadow of the famed Space Needle the Rock ‘n’ Roll Seattle Marathon & Half Marathon, which is set to make its 11th annual running in 2019 along a course that features stretches along Lake Union and Puget Sound. Starting in the heart of the Seattle Center, the half marathon course unfolds first by heading northwest along Mercer Street and 15th Avenue, taking runners around the Queen Anne neighborhood, an area known both for the hill and the early architecture by the same name (though you won’t have to tackle the hill). After reaching the northern part of the neighborhood, the course continues along Lake Union and into the Eastlake neighborhood, continuing the trek around Lake Union before crossing the finish line back at the Seattle Center. More than 14,200 runners took to the city’s streets and crossed the finish line in both races combined in the summer of 2016 — with more than 11,700 runners finishing the half marathon alone. The race will be open to wheelchair competitors as well as runners, and all participants are invited to a post-race concert the night of the race at the Seattle Center. Runners will have a course time limit of 4 hours to complete the half marathon and 7 hours to finish the full marathon, which means that walkers as well as runners are encouraged to take part in the race. 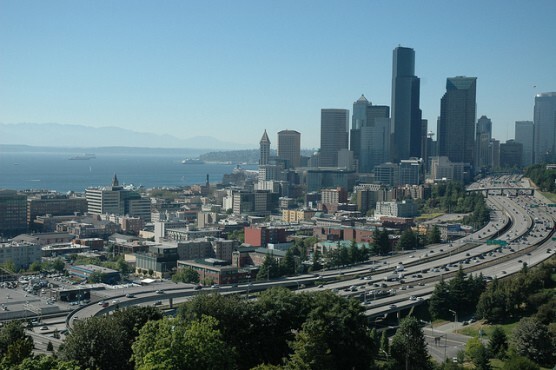 Well-known as a city that sees plenty of its share of rain and clouds in the fall and winter seasons, Seattle enjoys generally warmer temperatures and sunnier, more pleasant weather in the summer, which also brings the city’s driest weather of the year. On race day (June 9), the average low is 52°F and the average high is 70°F. See the race route map for the Rock ‘n’ Roll Seattle Half Marathon here. To reserve your spot in the early summer 2019 running of Seattle’s Dodge Rock & Roll Seattle Marathon or Half Marathon, register online at the event website below. Ever run in the Rock ‘n’ Roll Seattle Half Marathon? Share your impressions here, or post your review in the Comments below.